Our range of products include climatic chamber, environment control chamber for hot yoga, environmental test chamber and temperature and humidity chamber. 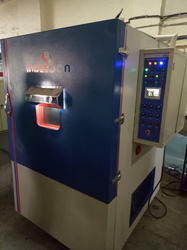 We are the leading supplier and manufacturer of Climatic Chamber. We are among the reputed organizations, engaged in offering our clients with Environment Control Chamber for Hot Yoga. All the beds are designed in compliance with international quality norms standards, using premium raw material, which is sourced from the reliable and certified vendors of the market. Apart from this, we have a team of expert quality controllers, which thoroughly checks all the products on various parameters to ensure flawlessness. 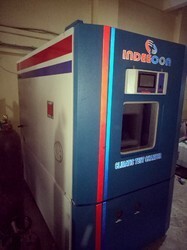 Leveraging on our dexterous workforce, we offer Environmental Test Chamber, which is developed from leak proof materials. Known for their durability and reliability. 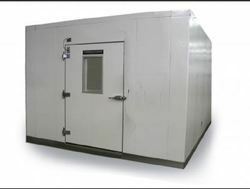 We are recognized as one of the major manufacturers, traders and suppliers of Temperature and Humidity Chamber. 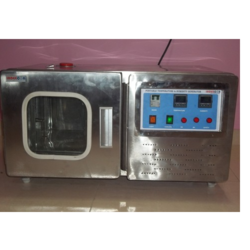 Our offered product is manufactured in compliance with industrial standards with utmost quality. We utilize premium quality raw material which is corrosion resistant and strong. These instruments are widely acclaimed for their accuracy and user-friendly operation.